Life Groups are the primary place where we witness the ‘one another’ lifestyle of believers described in Scripture (John 15, Romans 12). During these gatherings, we are able to remind each other of God’s amazing grace for us and encourage each other onto love and good deeds. It is also within this context that deeper discipling relationships can be created and fostered. 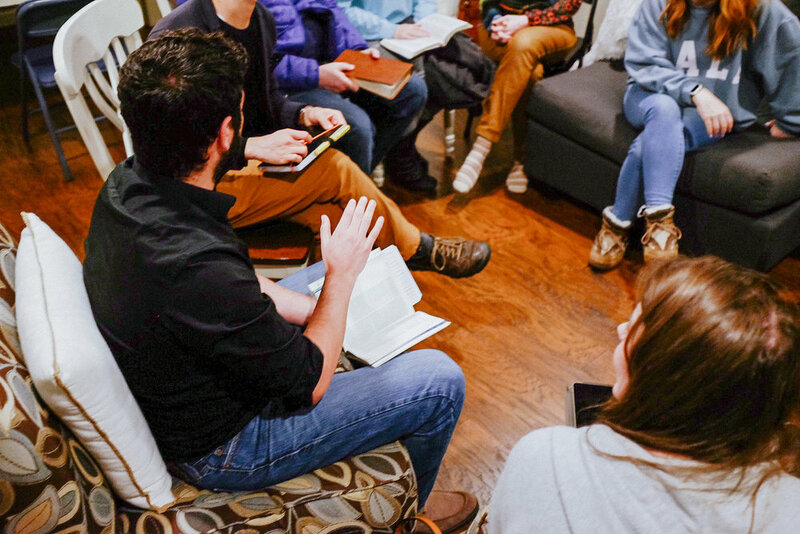 We have Life Groups that meet on Sunday mornings on campus as well as groups that meet during the week in homes. All of our groups are similar in format and in structure. 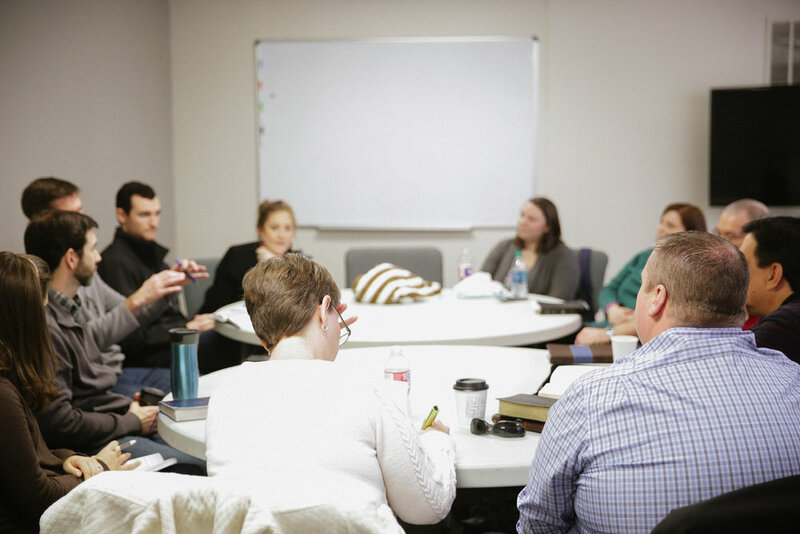 Each group meets weekly to discuss Biblical text. All groups are open to newcomers. Find a group near you using our Life Group Locator by clicking the button below. Once you find the group that fits your needs, click the button to ‘Join’ and the leader will reach out to you. Our Life Group gathering model is organized through what we call, Pattern of Care. It is the goal that the Church be equipped to pastor one another through Scripture, through struggle and pain, and through everyday life. We have created this discipleship model to help frame the time of our Life Groups’ gatherings. If you have any questions about our Life Groups, feel free to contact Minister of Groups and Outreach, Geoffrey Bertram. Thank you! Geoffrey will reach out to you shortly.